A brisk wind whipped through the streets as I walked in downtown Portland Sunday morning. It was just after 9 a.m., a time when much of the city still slumbers and everything has a quiet, lonely feel to it. Only a few cars and even fewer people were to be seen. 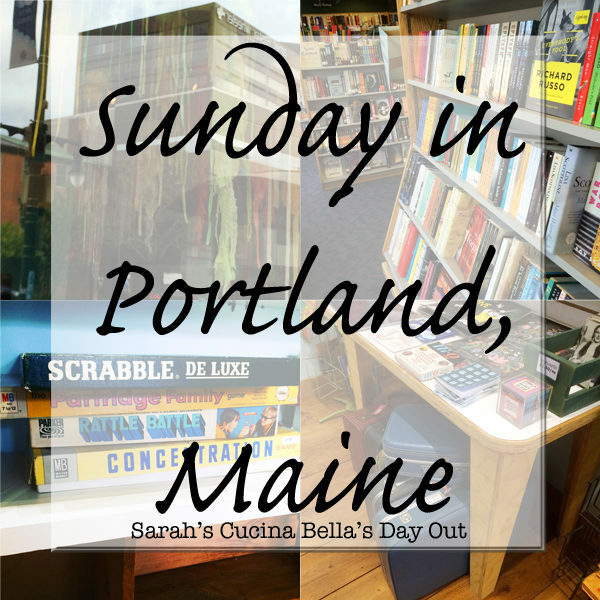 In Portland, Maine, not much opens on Sundays before 10 or 11 in the morning. Any other day of the week, and the city would be busy and bustling already. In anticipation of my Sunday in Portland, I’d checked dozens of restaurant menus for brunch, comparing the merits of each one. From the cash-only Marcy’s Diner, which had a line outside as I passed it, to the comfort-food mecca Hot Suppa, there were so many places I wanted to try with so many mouthwatering menus. I’d also checked what was open — the museums, historical spots and other places I’ve wanted to visit. But when I arrived, not really sure what I wanted to do all day despite my research, my feet led me to the familiar, the expected: Starbucks, where I could sit in the window and read. I didn’t even order a seasonal drink or goodie. But then again, I don’t even like Pumpkin Spice Lattes … so there’s that. Still, something familiar and comforting was the best way for me to begin my day out in Portland. 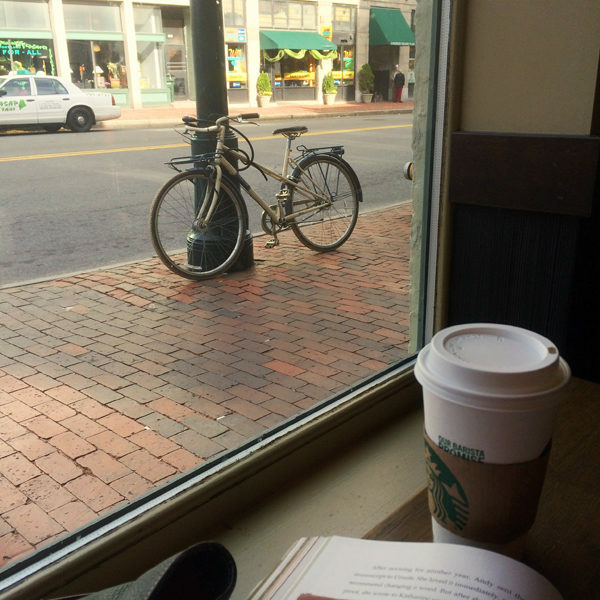 Sitting there, in the window overlooking Congress Street, I saw Portland begin to come alive as I sipped my latte, nibbled on coffeecake and read from a new children’s biography of E.B. White. It was so peaceful. Across the street, shopkeepers began to arrive at the darkened storefronts. Doors were unlocked. More people walked along the sidewalk. 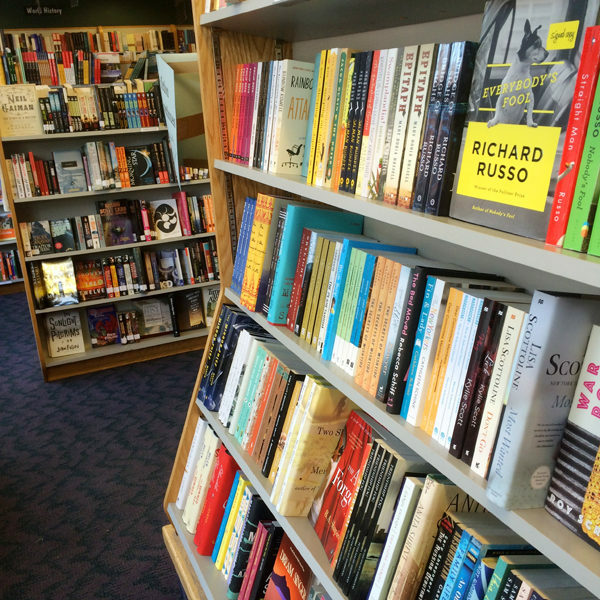 Eventually, I made my way through downtown, visiting a trio of bookstores. At Longfellow Books, an independent bookstore near Monument Square that sells both new and used books, I found a used copy of essays by E.B. White. Inspired by the biography I’m reading, I picked that up and a new reprint of the original “The Elements of Style,” by William Strunk — before E.B. White updated it. 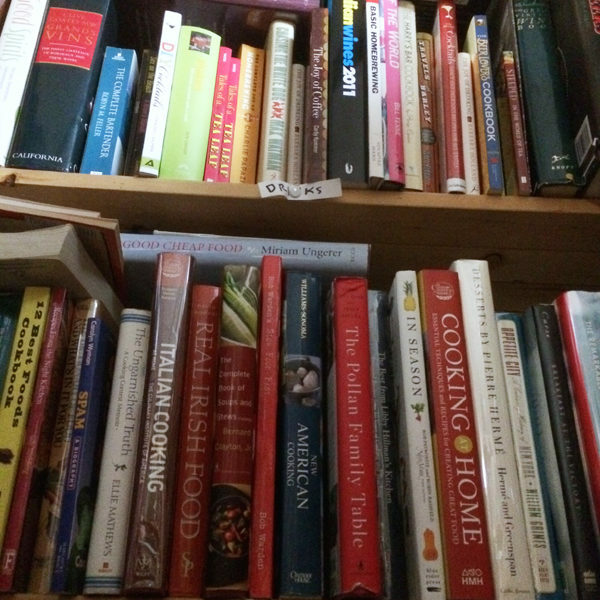 At Yes Books, a used and rare bookstore, I wandered through the aisles, mesmerized by floor to practically ceiling bookcases packed with books in every subject and from so many different decades. In the cookery section, I spied a few volumes I’d like to add to my collection sometime … And at Green Hand Bookshop, my favorite used bookshop in all the lands, I found several turn of the century cookbooks, and purchased the “Rumford Complete Cook Book,” published in 1943 and written by Julie Hawthorne Wallace. This volume, all about scratch cooking and proper preparation of foods, was published during World War II, in the time just before convenience foods really exploded in the cookery scene. I am fascinated with early 20th century cooking, and how much it changed after WWII. 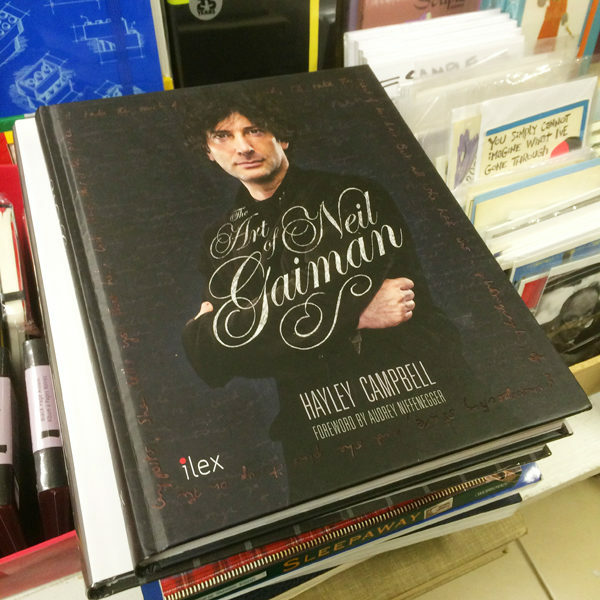 Can you tell that I adore bookstores? I really, really do. I also popped into a few vintage and used stores. 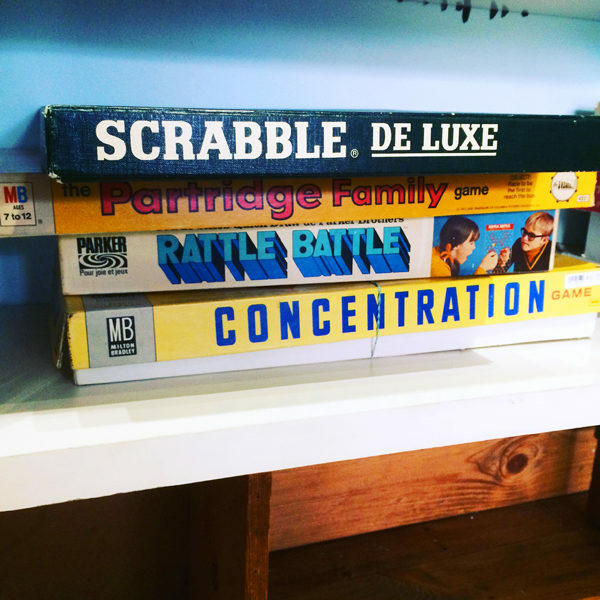 At Pinecone+Chickadee, a sweet store carrying the Pinecone+Chickadee line of clothing, paper goods and more, as well as a curated selection of goods from other companies and vintage stuff, I spotted used games — some of which I had as a kid. I couldn’t leave without that Partridge Family game. 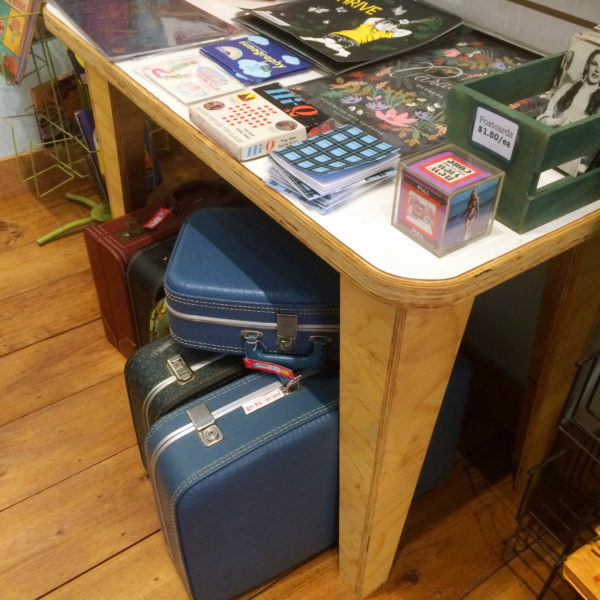 And the vintage luggage — a favorite of mine — was so hard to resist. I would love to travel with a matching suitcase and traveling case like a chic lady from the 1960s. One of my favorite finds in this store were blank books made from vintage books — some pages were blank, others included pages from the original volume. How fun. Back on Congress Street, I stopped into Portland Flea for All, one of the storefronts I’d been watching from my perch at Starbucks. This vintage and antique store is lovely to browse because everything is arranged so nicely — not always the case in stores like this. 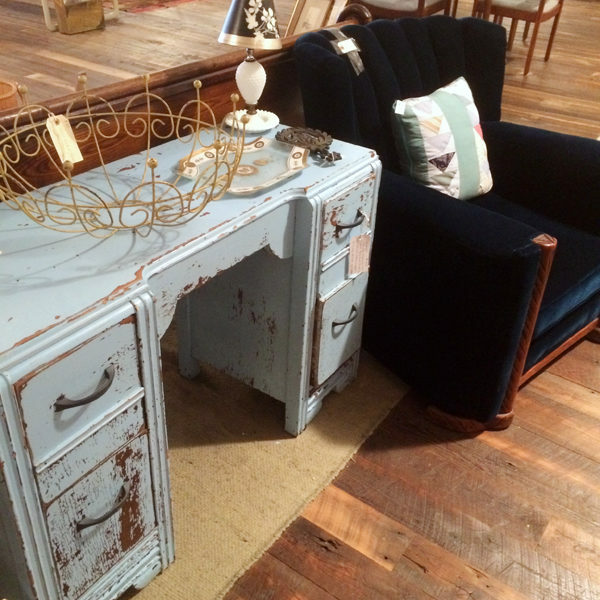 While there, I spotted this painted vanity and midcentury velvet chair … and it was so hard to leave without them. The chair, in particular, is exactly what I’ve been wanting for reading. OTTO Pizza, 576 Congress Street, Portland, Maine. OTTO has multiple locations in and around Portland and elsewhere. Highly recommended. After all that browsing, it was lunchtime and there was an OTTO Pizza location nearby on Congress Street. 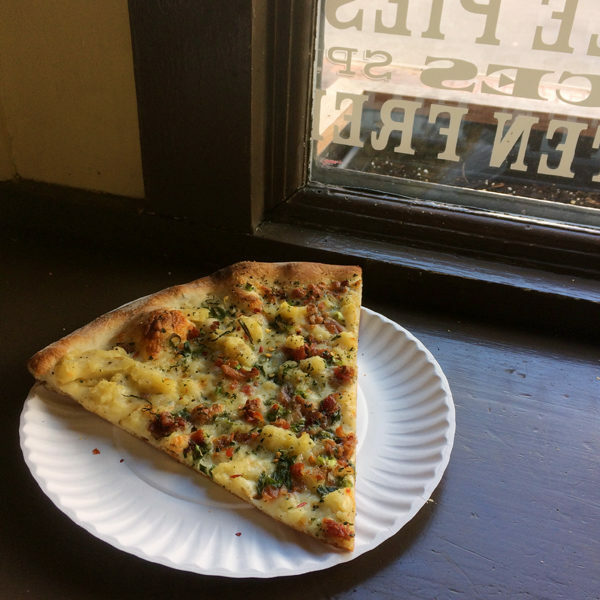 I’ve been to OTTO before, though not this location, and adore their Mashed Potato, Bacon & Scallion pizza so I had to get a slice. 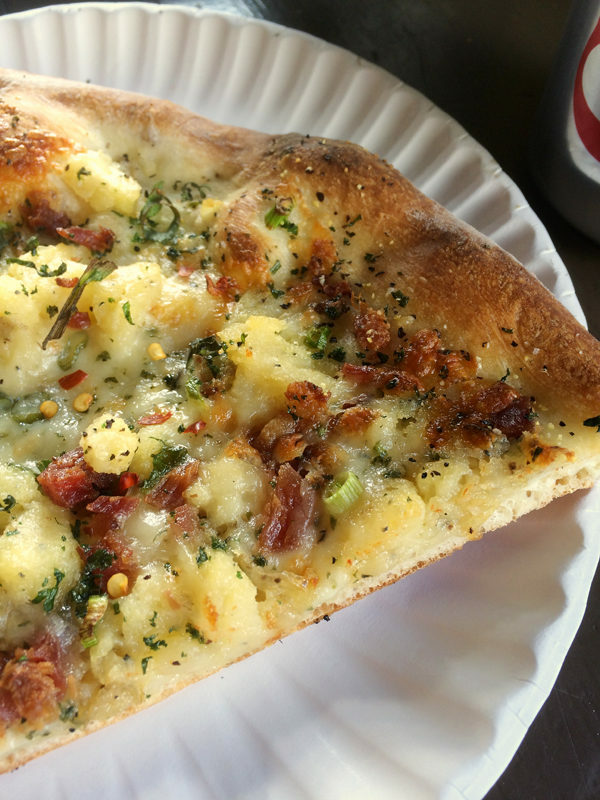 With a crisp, thin crust and topped with mashed potatoes, bacon, scallions, cheese and more, it’s simply heavenly. For all that I did do on my Sunday in Portland, Maine, there’s so much more I wish I could have done. 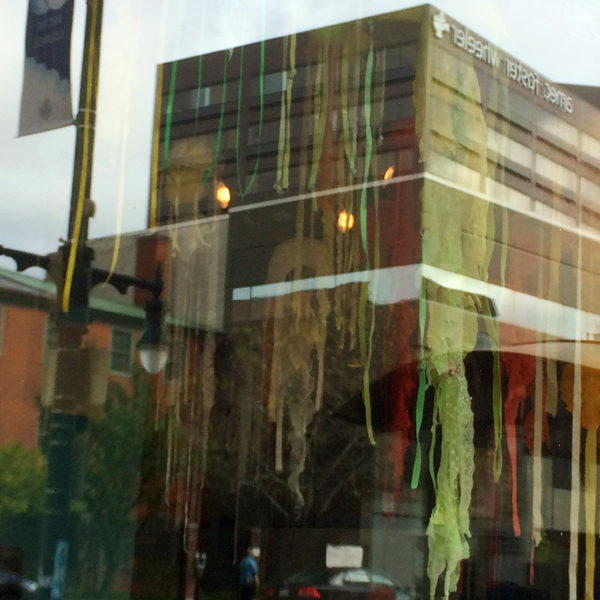 Check out the Portland Museum of Art, for instance. Visit more vintage and antique stores. Buy shoes. Eat some amazing fries at Duckfat. But there’s always next time, which hopefully will be after Print, Portland’s newest independent bookstore, opens (slated for sometime in early November) because I am excited to check it out. Have you been to Portland, Maine? What’s your favorite spot there?